I poked my hand into the mailbag. Came up empty, once again. 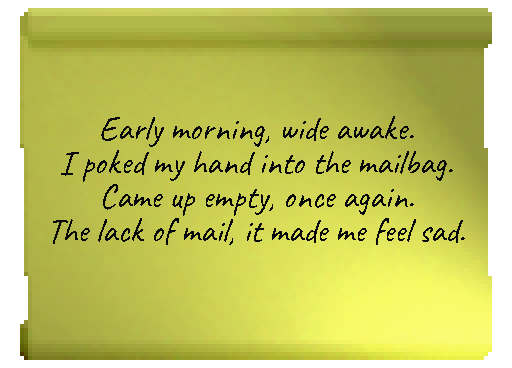 The lack of mail, it made me feel sad.